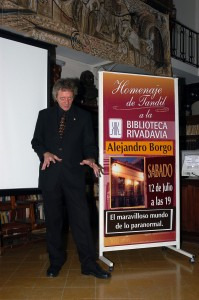 After participating at the First National Congress on Atheism in Argentina , on December 2008, at the city of Mar del Plata, and with a brief opening lecture (see photo below), CFI/Argentina Executive Director, Alejandro J. Borgo took part in different activities related to critical thinking, science divulgation and religion issues. 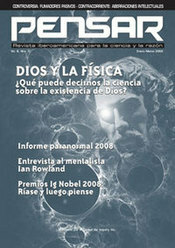 In January 2009 was released the last issue of Pensar , Ibero American Magazine for Science and Reason. We hope that in the next future we would be publishing it again. CFI/Argentina’s Website, www.cfiargentina.org was updated and has a new section, “Videos” where people could be linked to a variety of videos regarding pseudoscience, and showing the appearance of its Executive Director on many TV shows, as a journalist and another as a host of brief documentaries. Alejandro J. Borgo appearing on several TV shows, debunking pseudoscience. We invite Spanish-speaking people to see these videos and visit CFI/Argentina’s Website! 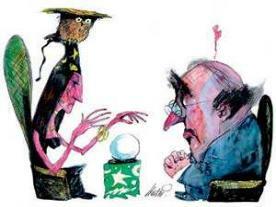 During September-October 2009, Alejandro J. Borgo, Director of CFI/Argentina held a course titled “Beliefs, Pseudoscience and Critical Thinking” at the Centro Cultural Ricardo Rojas, cultural center which belongs to the prestigious University of Buenos Aires. This was the first time that a course of this kind was being carried out at a building belonging to the University of Buenos Aires. We hope this course to be carried out on 2010. This is part of the efforts of CFI/Argentina to spread critical thinking among university students and general public. CFI/Argentina was invited to give two lectures in different cities of Argentina. One was held in Tandil and the other in Mar del Plata, both dealing with critical thinking and pseudoscience (see photos below). 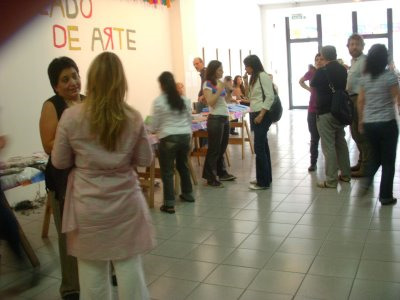 And another related to freethinking and religion was held at the Cultural Center Ricardo Rojas, during the course mentioned above. Finally, CFI/Argentina Executive Director signed a contract in order to write a book on critical thinking that will be published on 2010 by one of the most important editorials of Argentina. Its tentative title is: Why all this is happening to me? The most common errors we made in thinking . If not the first, it will be one of the few books on critical thinking published in Argentina to date. From the CFI/Argentina we are encouraging people to apply critical thinking to politics and economics, fields which are in urgent need of critical thinking.